In December I wrote a blog post that discussed how self-published authors advertise their own work. I suggested that the most common method for success during Amazon giveaway periods has been to pay email-list advertising companies to promote your giveaway to an extensive list of targeted readers. Most consider this the best method for promoting a free eBook giveaway. However, in recent years, several writers have noted a decline in the effectiveness of these eBook advertising companies as the market got more crowded. As a result, I decided to conduct an experiment of my own to test whether these companies are still worth the fees they charge. To do this, I paid for advertising myself to see how my download figures compared to those of my previous efforts without paid advertising. To make this experiment as helpful as possible, I’ve also decided to share my exact download figures with you guys – something a lot of author-bloggers don’t do, possibly because they are unnecessarily private or embarrassed by low sales. In December 2013, I offered a free giveaway of my Christmas fantasy book, The Winter Freak Show, promoting only on Twitter to my then 10,000 Twitter followers. There was no paid advertising. The giveaway lasted five days and I got 379 free downloads in total, over half of which were in the UK (partly friends and family), with a scattering of additional downloads in the US, Australia, Germany, Japan, and Canada. 379! Not a lot by anyone’s standards, but not bad for a first attempt and with no advertising. I had to wait a whole year to conduct the second part of my experiment because The Winter Freak Show is a Christmas story. Trying to sell it in July would hardly make for a fair experiment, would it? During that 12-month gap, I had read countless blogs by successful writers and discovered that almost all of them still used paid email-list advertising to promote their giveaways. The superpower of these organisations is BookBub. It has a massive email subscription list and consistently propels unknown authors onto the Amazon bestsellers list. Unfortunately, their high demand means that they’re also very competitive and reject about 75% of writers who apply for their services. I was rejected on this occasion, and so I tried some of BookBub’s smaller rivals, eventually settling on E-book Booster and BookSends. E-book Booster cost me about £21 ($32) and claimed to apply to up to 50 free advertising companies on my behalf to promote The Winter Freak Show over its five promotional days. BookSends cost about £16 ($24) and used the famous email-list advertising technique, featuring me on the evening of the first day of my promotion. So my total costs were about £37 ($56). On the opening of my first day, I saw a handful of downloads before I had even tweeted about the deal. E-book Booster had already started to work its magic. By the evening, E-book Booster was generating a continuous but modest flow of downloads. It was only when the email from BookSends was released that I saw a sharp spike in sales – over 800 free downloads in a few hours! – particularly in the US. By day two, sales fell drastically. There was still some fallout from BookSends’ email of the previous night but nowhere near as much as before. The third day showed another drop. No longer running on the buzz generated by BookSends, I saw downloads of The Winter Freak Show drop below a hundred a day. And it stayed in that area, floating gently on E-book Booster’s minimal marketing current to the end of day five. My total downloads over the five days came to 1184, with over 1000 of those in the US. Obviously this figure was much better than the 379 I had managed before. Whereas The Winter Freak Show peaked with a sales rank of 2916 on Amazon.com the first time it went on offer (without paid advertising), it managed to reach 231 (with advertising) and stayed in that position for about 48 hours, hitting the number one slot in the “Young Adult, Fantasy, Swords and Sorcery” category! 379 total free downloads over five days (about 150 were in the US). Peaked at 2916 on Amazon.com free eBook sales rank. 1184 total free downloads over five days (over 1000 were in the US). Peaked at 231 on Amazon.com free eBook sales rank. So there you have it! My experiment has shown that email-list advertising definitely gets your eBook downloaded more times during free giveaway periods and gets it closer to the coveted top 100 bestsellers list. Having said that, neither free giveaway periods generated any actual paid sales (possibly due to my lack of an extensive back catalogue or sequels at the moment). So, from a profit standpoint, paid eBook advertising is not worth it if you only have one or two books under your belt. However, profit wasn’t my main goal. What I really wanted was exposure, and I achieved that. Many people that had not previously heard of my books have now read my work. And as a relatively unknown writer, I find the prospect of reaching a loyal readership invaluable for the future of my career. As for the effectiveness of the two separate companies, I personally found that BookSends was far better value for money. Most of my downloads happened on the day of the BookSends promotional email, despite it being cheaper than E-book Booster. And I can’t say that I didn’t give E-book Booster the full opportunity to show me what it could do. I received confirmation of its services a full two weeks before the giveaway, so it had plenty of time to gather interest. Admittedly, it did stump up some downloads, but they were minimal when compared to the deluge created by BookSends. So it’s time for the big question: is paid eBook advertising still worth it? Well, it depends on your goals and which companies you use. BookSends appears to generate good results, and I know BookBub recently got an author friend of mine 50,000 downloads over 5 days and over 700 actual paid sales of her book’s sequel, meaning 800% profit! So in that case, it was undeniably worth it. As always, the answer is more complex than the question leads you to believe. What I do know for sure is that I’ll definitely be using BookSends again, along with other companies I haven’t tested yet! If you’ve made it this far then thank you! In the future, I’m planning to write more on the subject of authors, publishing, and the craft of writing. I hope you revisit my blog. If you enjoyed this post then please share it on all forms of social media. Message me on Twitter at @dkparsonswriter if you have any suggestions to improve this post, questions about it, or if you have a topic you would like me to blog about in the future. 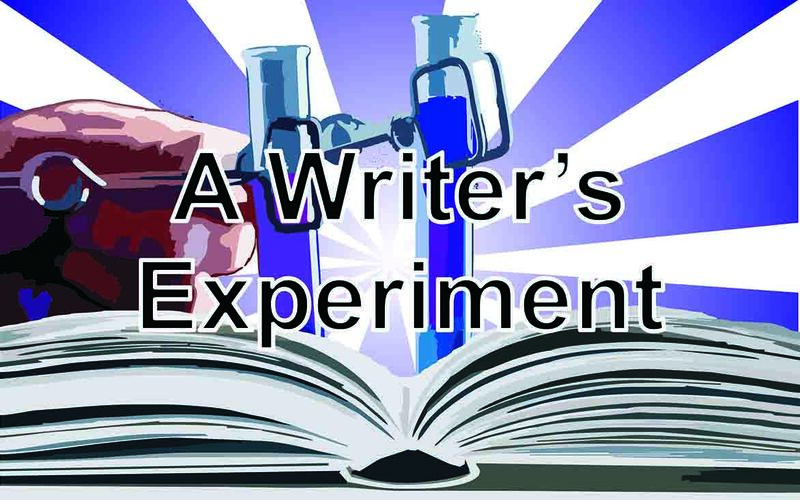 TagsA writers experimentblogIs Paid eBook Advertising Still Worth It? Daniel Parsons is the author of the fantasy books The Winter Freak Show and Blott. He has also written a comedy zombie story called Necroville which has received critical acclaim on Wattpad, garnered over 24,000 reads, and been used to promote Hollywood’s Pride and Prejudice and Zombies movie. His first non-fiction book #TheArtOfTwitter – a Twitter guide for writers, musicians, artists, and other creative professionals – is due to be released in April 2016. Besides writing, Daniel works at a publishing company in South Wales, UK, and runs workshops in which he teaches other authors how to grow an effective social media presence. If you want to know more about Daniel, sign up to his mailing list or follow him on Twitter (@dkparsonswriter). He loves talking to readers, writers, and anyone else who will listen!